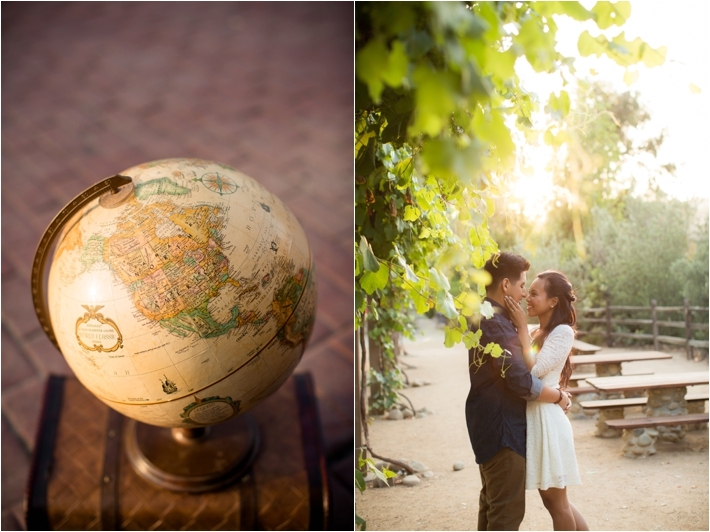 "We took pictures at San Juan Capistrano because we were attracted to its rustic ambiance and it really fit our personalities. 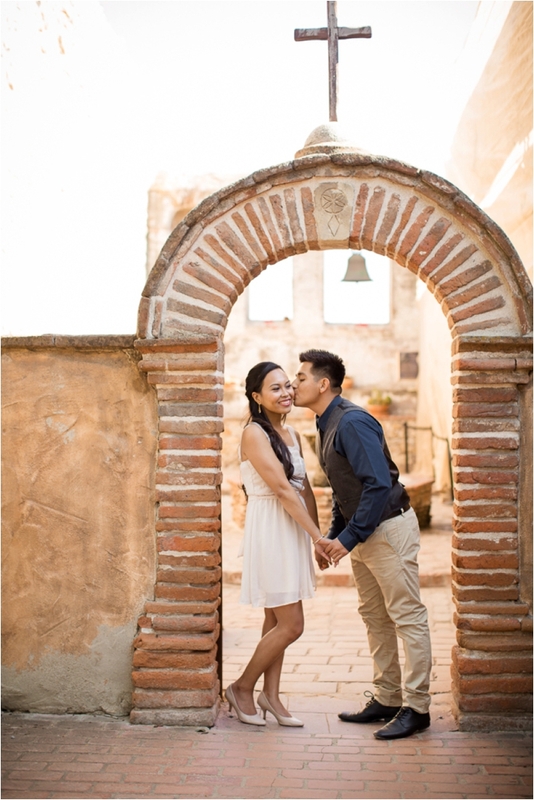 The specific locations we took our pictures in were at Mission San Juan Capistrano and Los Rios District. 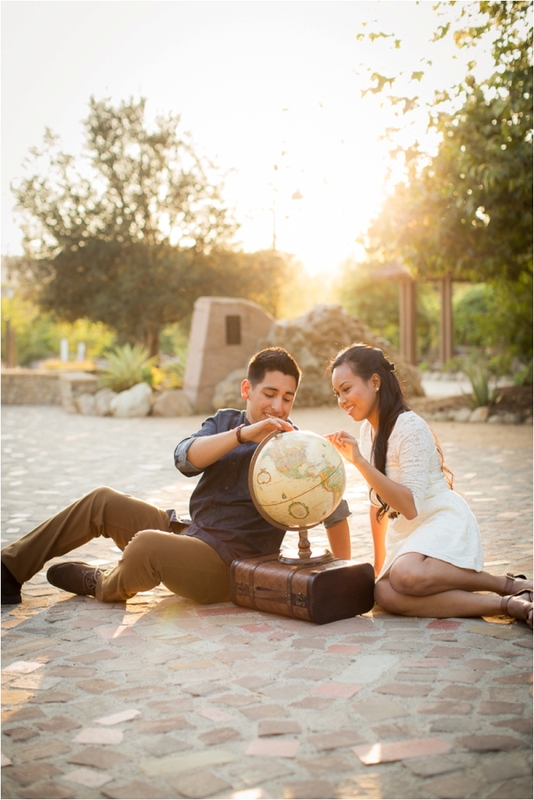 For our photo props, we used a vintage globe and luggage in our shoot to represent adventure. We love going on adventures and call our adventures "Incredible Adventures." The reason we call it Incredible Adventures is because Incredible starts with "I" for "Irene" and Adventure starts with "A" for Adrian. 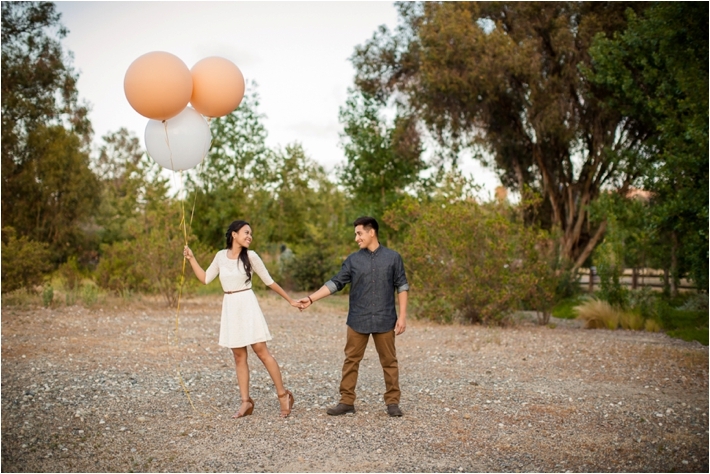 :) We also had big balloons in our shoot because Up was the first movie we watched together when we first started dating. The last prop we had was ice cream because we both love ice cream, so what better way to represent us than our favorite dessert. 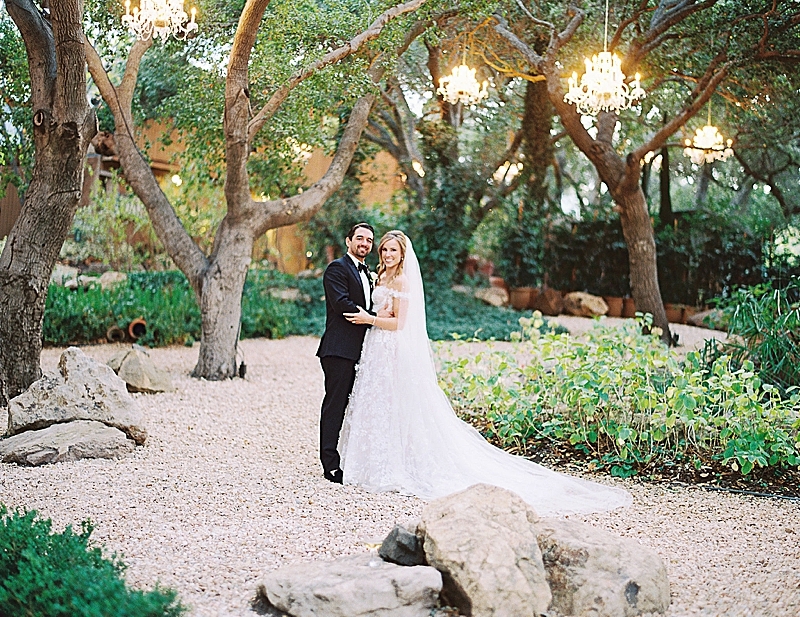 Their love story: We started going to the same church in 2006. However, it wasn't until 2011 where we started getting to know each other more because we served on the same team during a missions trip to the Philippines. I started to notice Adrian because of His genuine love for Jesus and for others during this missions trip. After, we began hanging out together more in 2012 because we both had Disneyland annual passes. The more we hung out together, the more we both found out how we enjoyed each other's company and how we shared so many interests. 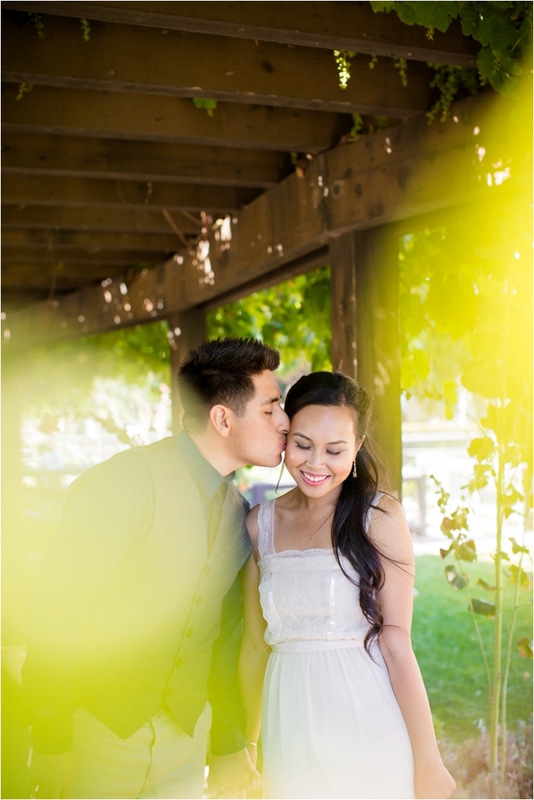 After much prayer and a season of courting we became an official couple on May 21, 2013 at Shadow Oak Park. 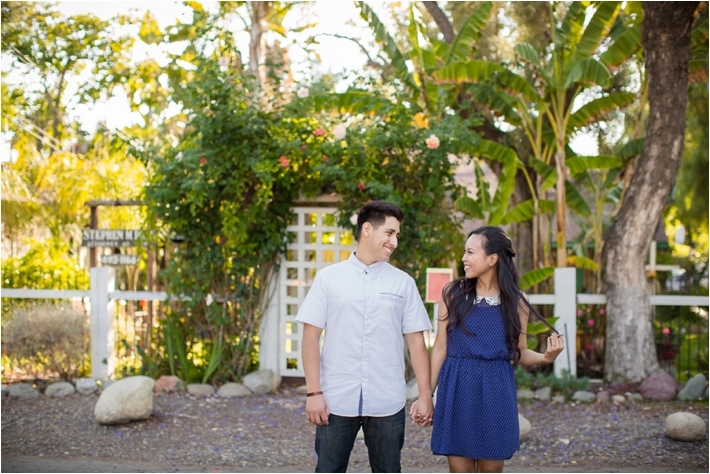 18 months later, on November 22, 2014, Adrian proposed to me at the same park. If I were to give a cliff note version of our love story, I would say that our relationship exists because of God's sovereignty and grace. He is so good to bless us with each other! The proposal: Adrian told me that we were going to celebrate our 18 month anniversary together and that he had the whole day planned for us. For the first stop, Adrian originally planned to surprise me with a hot air balloon ride. However, on the way to my surprise, Adrian received a phone call that they couldn't go on the hot air balloon ride that day due to weather conditions. After the phone call, I told Adrian it was okay and suggested that we should just go to Disneyland instead (We are Disney fans and have annual passes (: ) . We spent a few hours at Disneyland, and Adrian made a comment about my nails, "When's the last time you painted your nails?" I replied back, not thinking much of his question, "I know right! They probably looked so unprofessional for parent teacher conferences!" (By the way, I'm a 4th grade teacher). After Disneyland, Adrian said that we had dinner reservations, so we got ready at my house. There, I asked if I had time to curl my hair and paint my nails. Adrian told me that I probably only had time to paint my nails (again, not thinking much of it...he was thinking in advance for my nails to look pretty for all the ring pictures to come that night! LOVE HOW HE THINKS!). After getting ready, Adrian said that he wanted to take me to a special place really quick before our dinner reservations, since the hot air balloon ride didn't go as planned (which made sense, so I was suspicious). Adrian ended up taking me to Shadow Oak Park, which was the same park that Adrian asked me to be his girlfriend. On the way there, I noticed some lights and tell Adrian, "How pretty! Look at the lights! How come they never have anything like this before?" As we got closer to the lights that were decorated at the park's patio, I noticed mason jar candles everywhere, a wooden treasure box, and a large chalkboard that was covered. Things slowly started to click for me that these things were all for me. We then start dancing to "Vie en Rose" and as we were dancing, Adrian stops and starts praying. In his prayer, he mentions, "God, you've been so good to us and whatever happens next in our relationship please lead us." Adrian then tells me to turn around. During this time, I was thinking that the covered chalkboard was probably not going to say "Happy 18 Month Anniversary"...and I was right. Adrian then tells me to turn around, and to my surprise, he was on one knee and presented a ring (with a help of a stormtrooper) in a wooden treasure box. He asked the question that was now displayed on the chalkboard, "Will You Marry Me?" I replied "Yes!" I thought that the surprises for the day were over, but I was wrong. After a few minutes of being newly engaged, family and friends that were hiding behind a building the whole time surprise us. They were the ones who helped decorate the park's patio while Adrian took me out the whole day. Thanks to Adrian, my nails were just painted and picture ready for all the pictures we took that night with my engagement ring. Afterwards, we celebrated the night with all our loved ones at Lucille's in Chino. 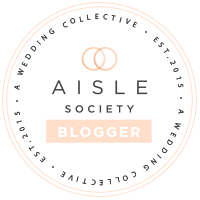 Theresa Bridget Photography is a Southern California Bride Preferred Member. To find more vendors in your area, visit us here.